We focus on sites for small to medium businesses, churches, and non-profits. We use Joomla CMS for the backend so you are able to update and expand your website if you want to. What we think we are really good at is explaining and teaching. We try to answer all questions quickly and add them to our growing video resource library so that they are at your fingertips next time. We really just want websites to be more fun and usable for everyone. 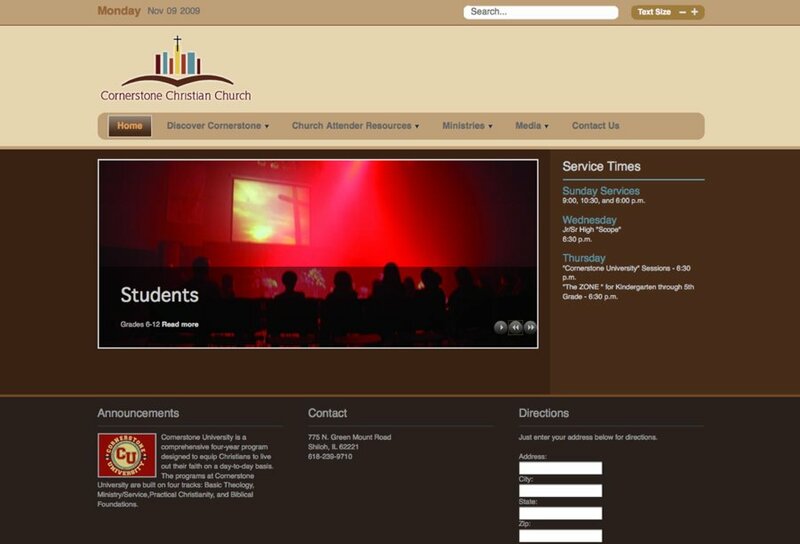 The homepage of a new site for a Cornerstone Christian Church.